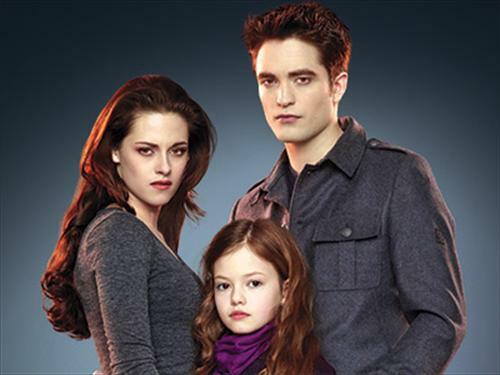 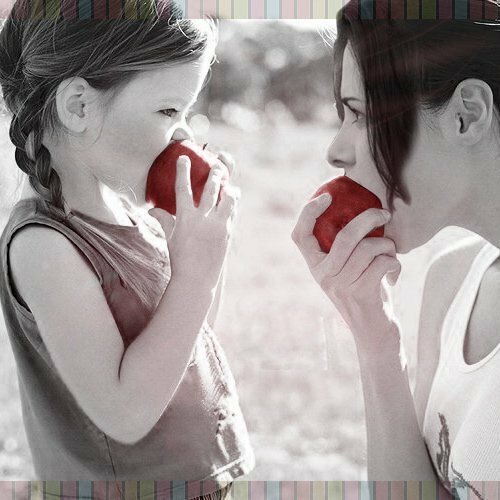 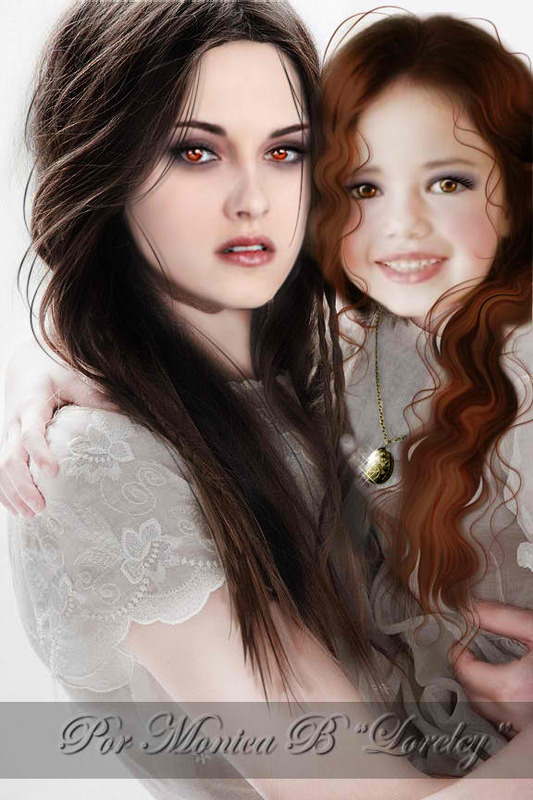 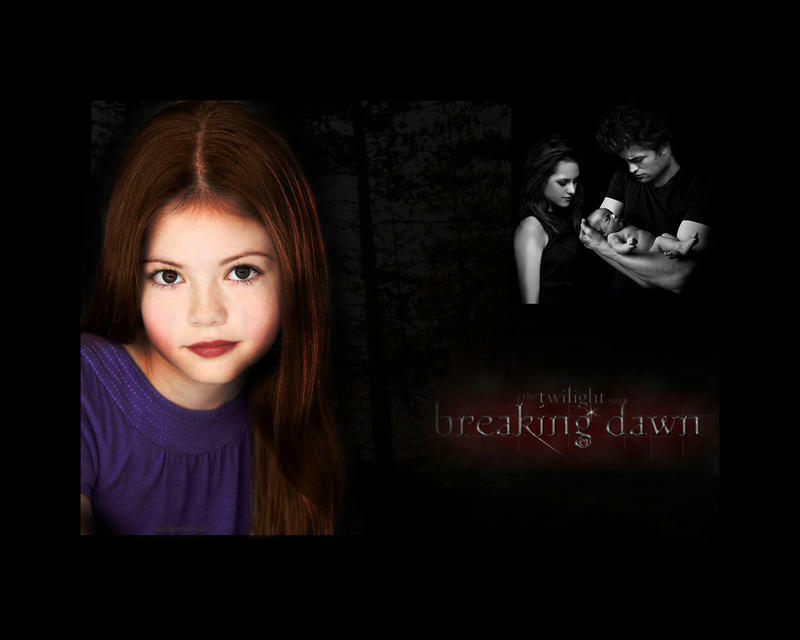 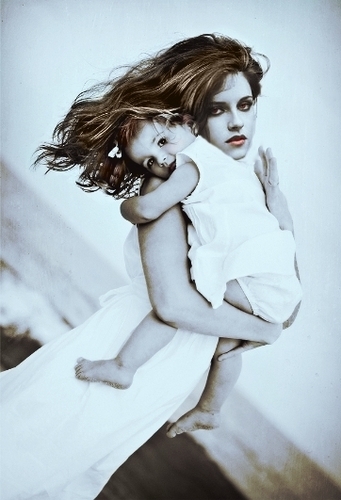 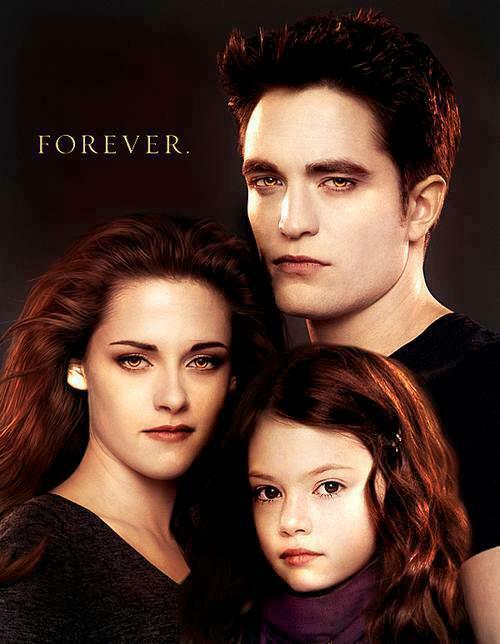 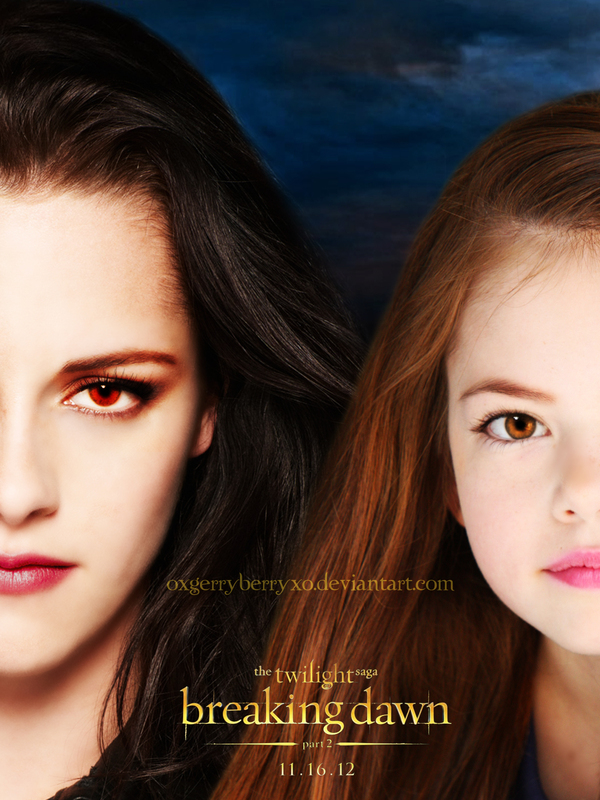 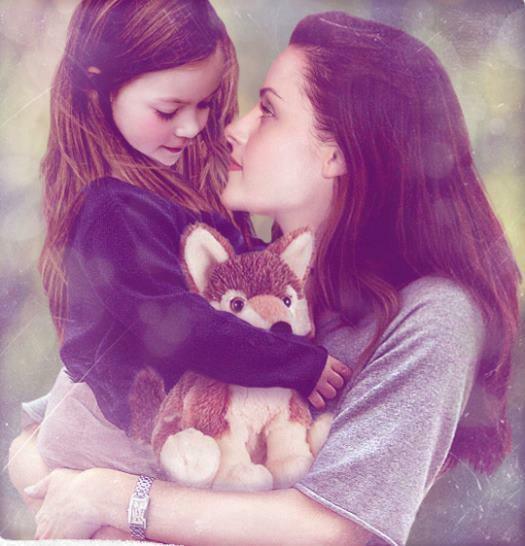 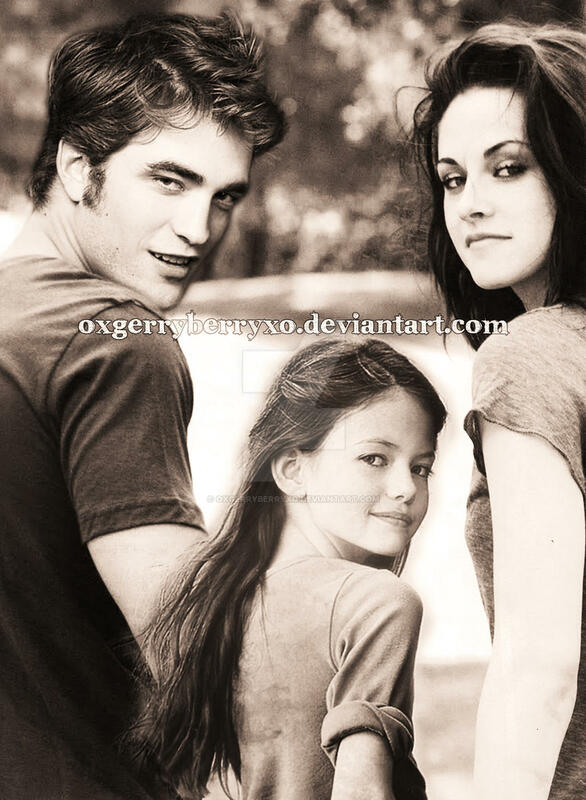 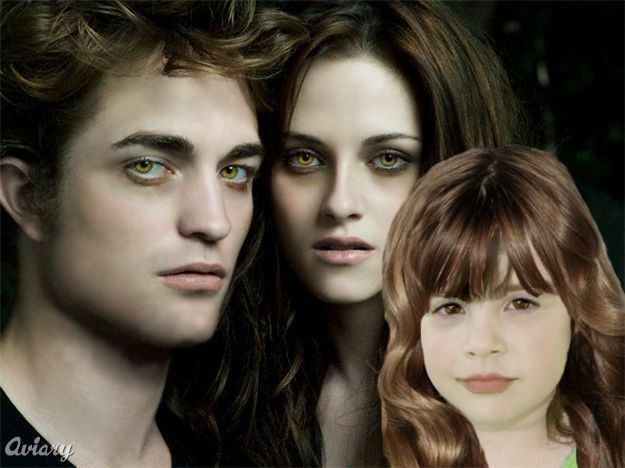 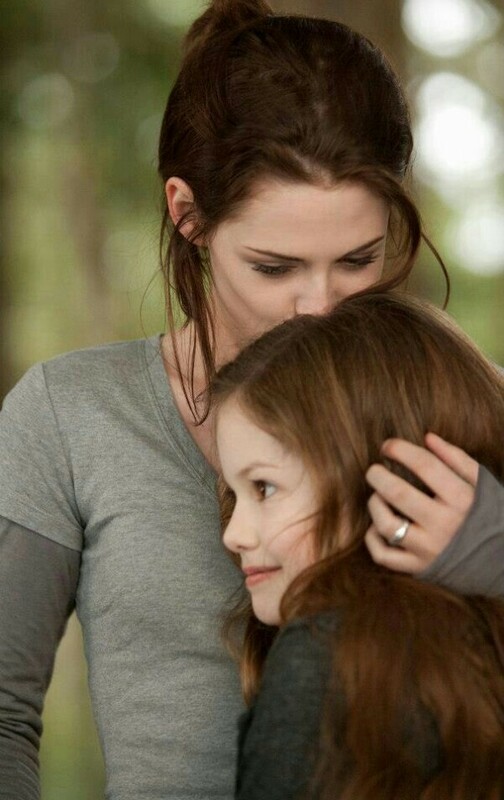 Bella, who first appears in Twilight, is a 17-year-old girl, who moves out from her mother's home in Phoenix, Arizona, to live with her father, Charlie Swan, a police chief, in her birthplace of Forks, Washington. 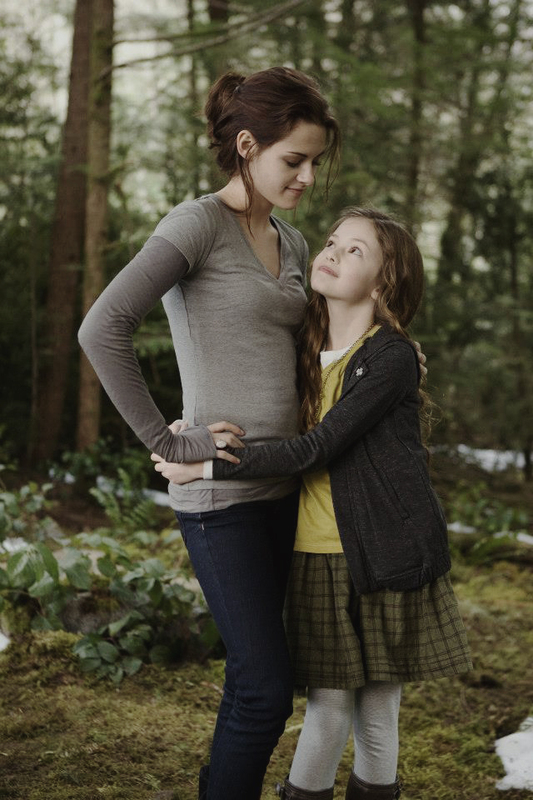 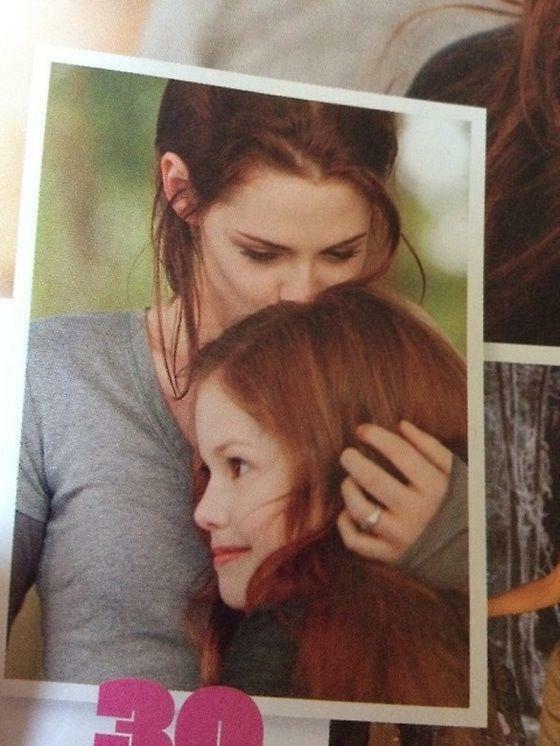 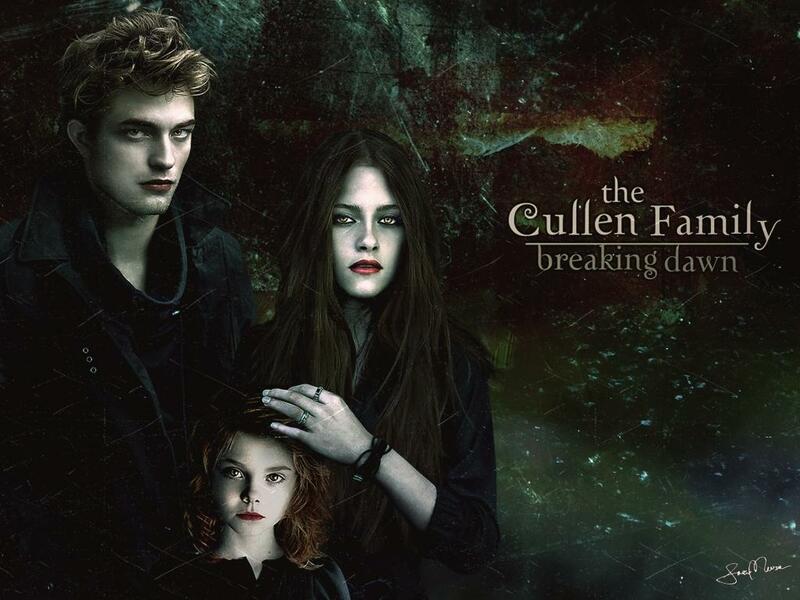 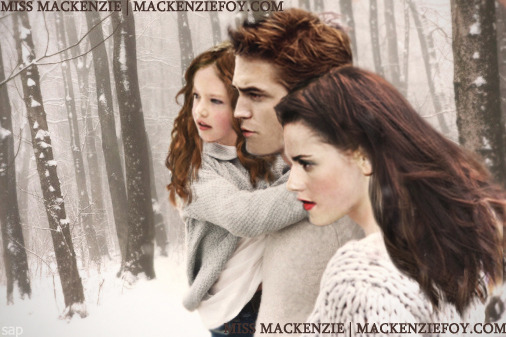 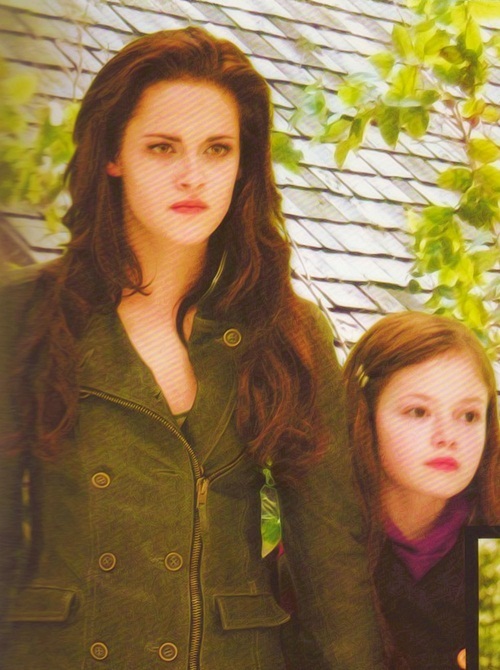 There, she is enrolled at Forks High School, where she becomes intrigued by a student, Edward Cullen and his family. 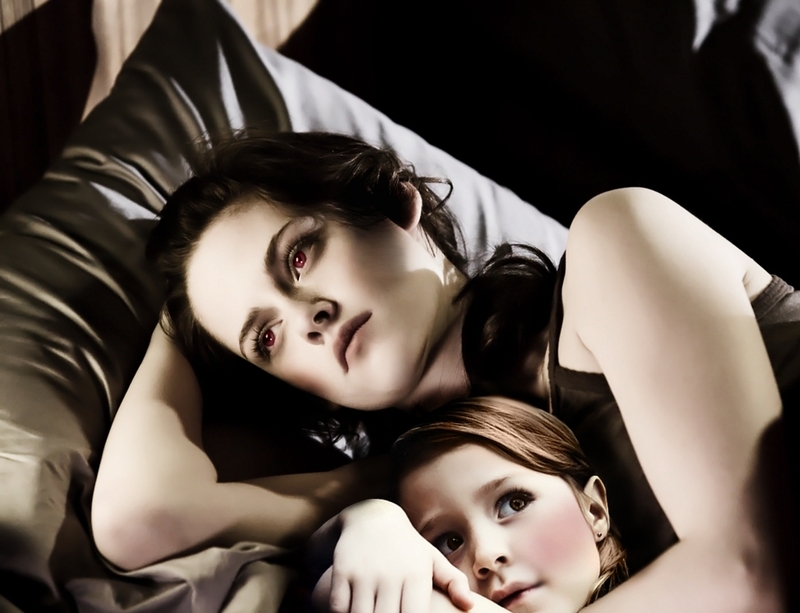 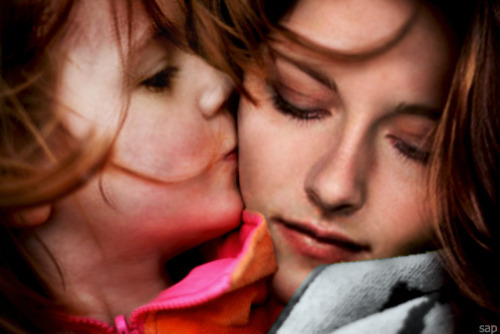 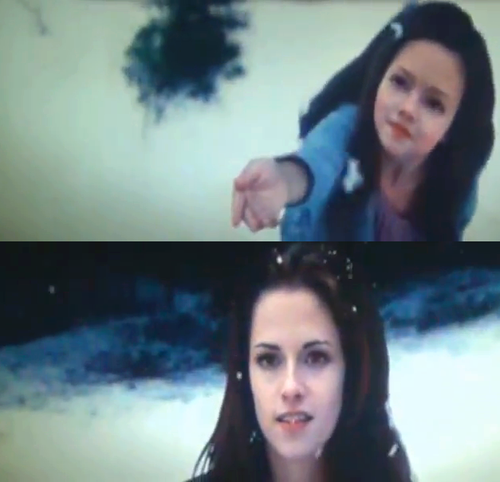 When Edward saves her life, he exhibits super-human qualities. 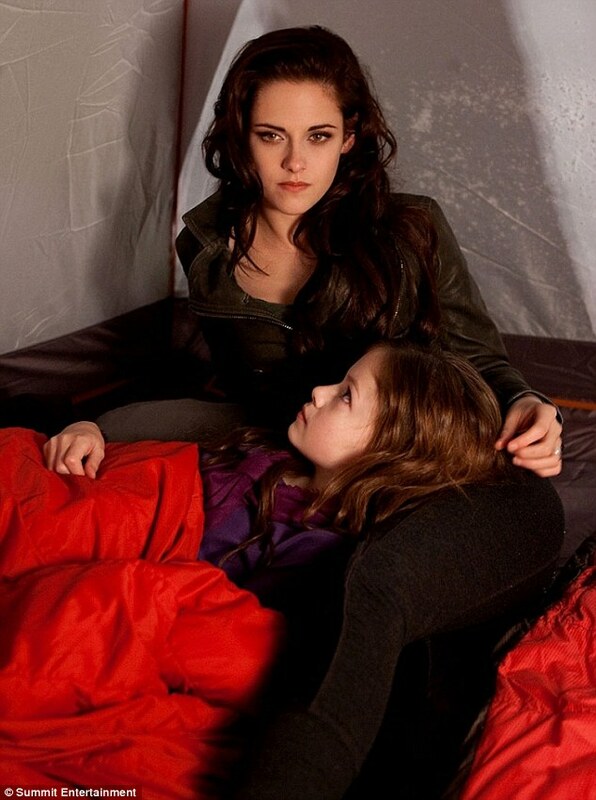 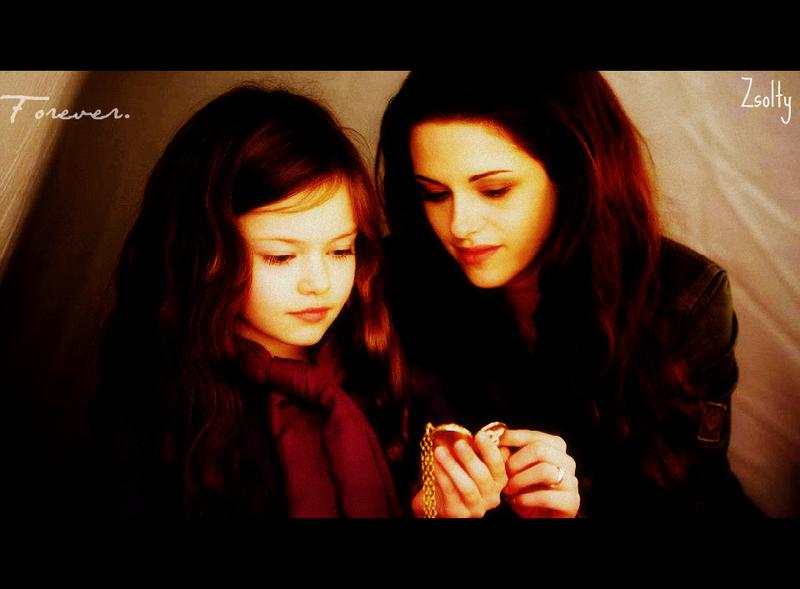 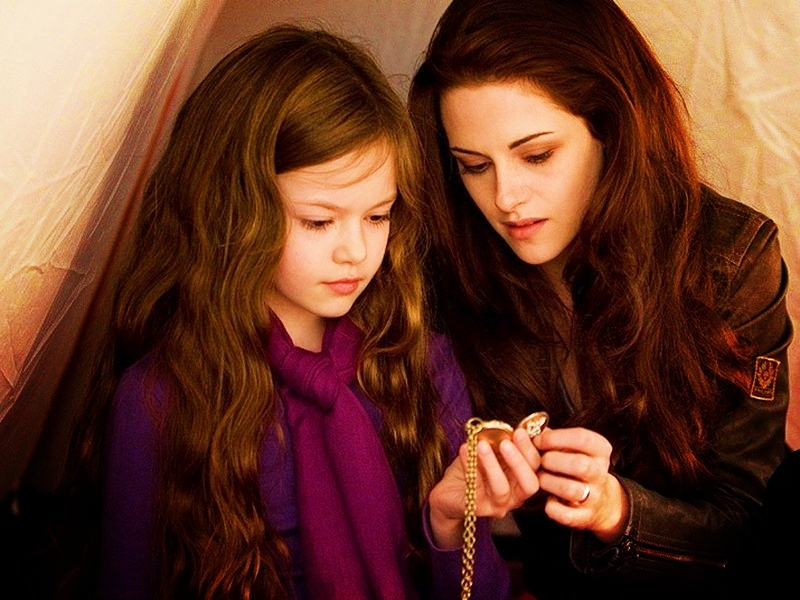 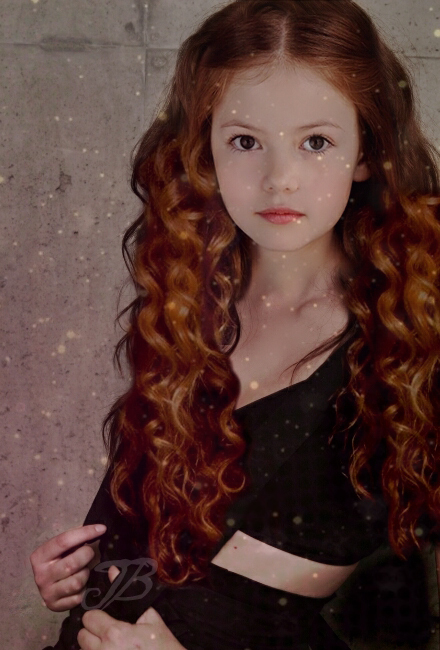 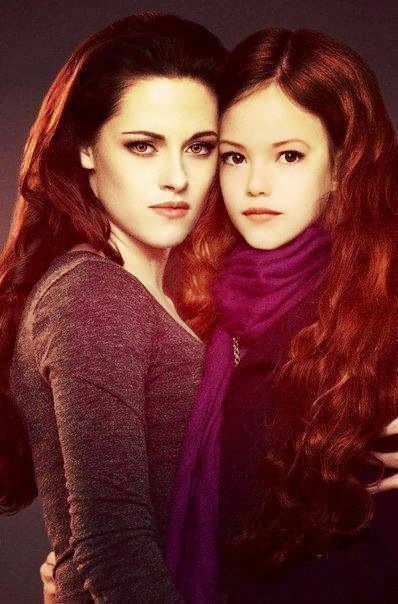 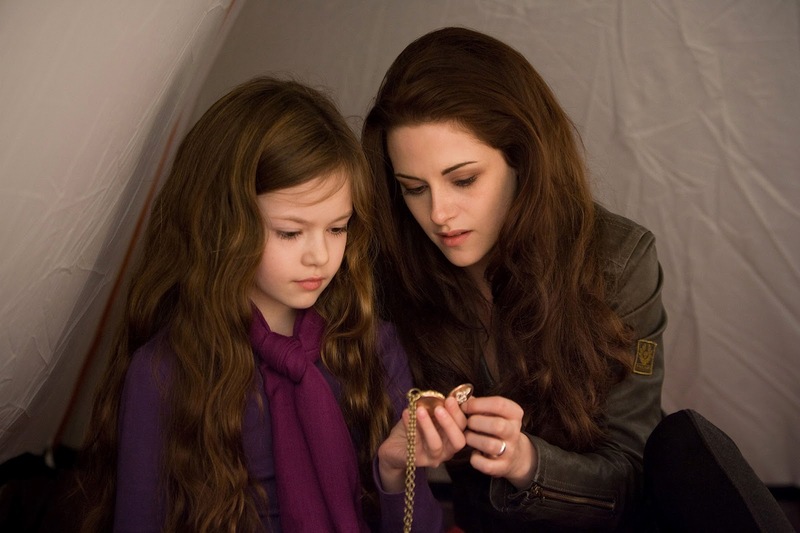 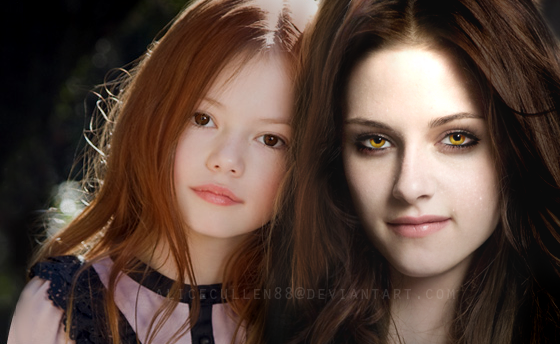 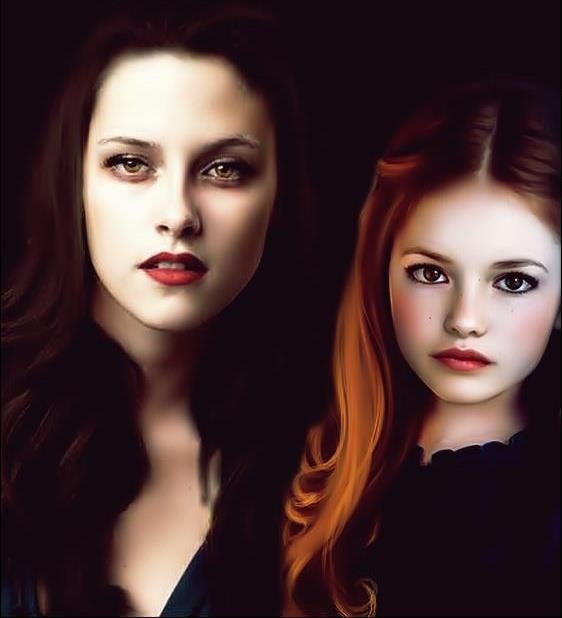 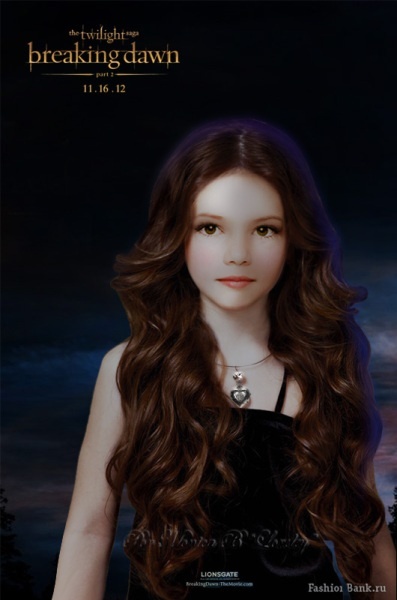 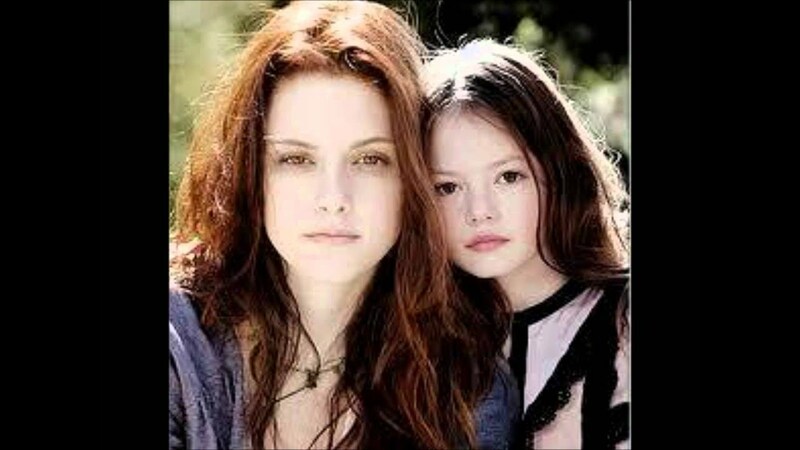 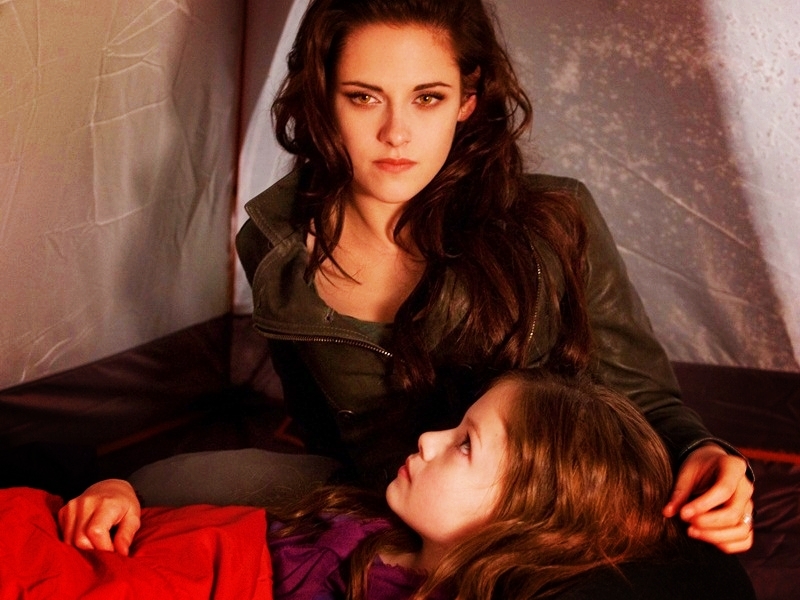 Bella learns from her family friend Jacob Black that Quileute legends say the Cullen family are Cold Ones. 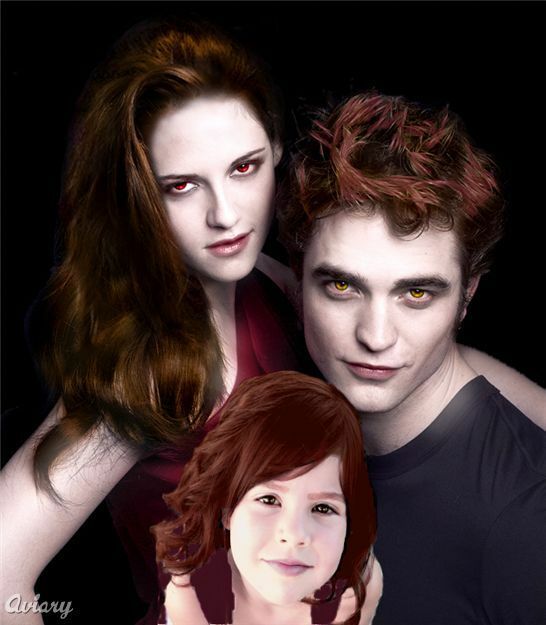 Edward eventually admits he's a vampire, though his family have what they call a "vegetarian" diet-only hunting animals. 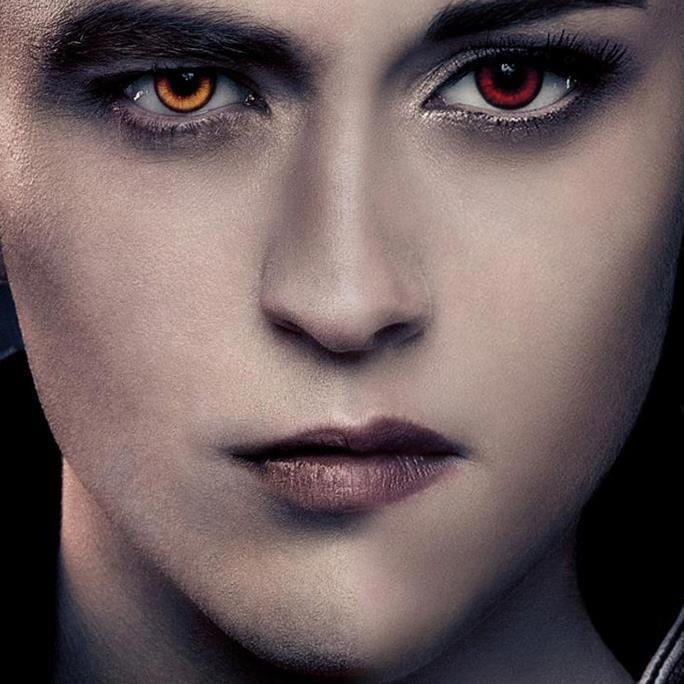 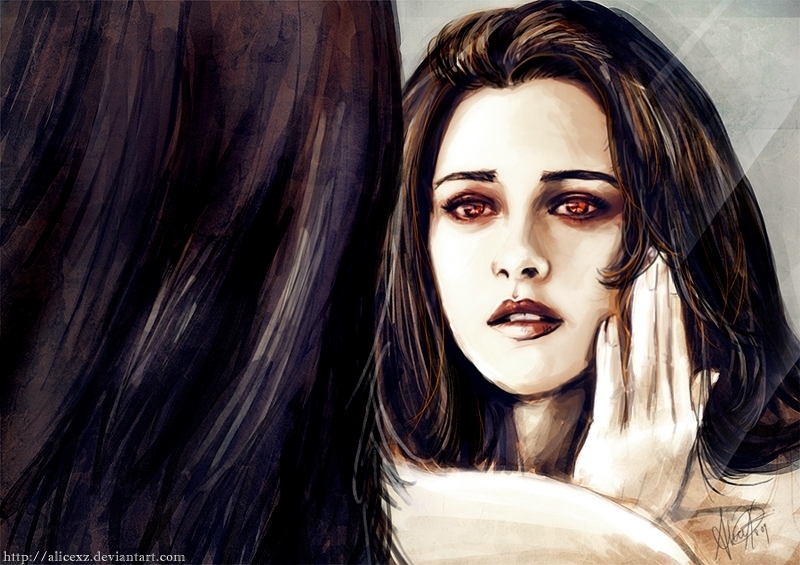 Edward constantly warns Bella against being with him, perceiving her life to be at constant risk if she continues to associate with him, because the scent of her blood is more powerful to him than that of any other human he has ever met. 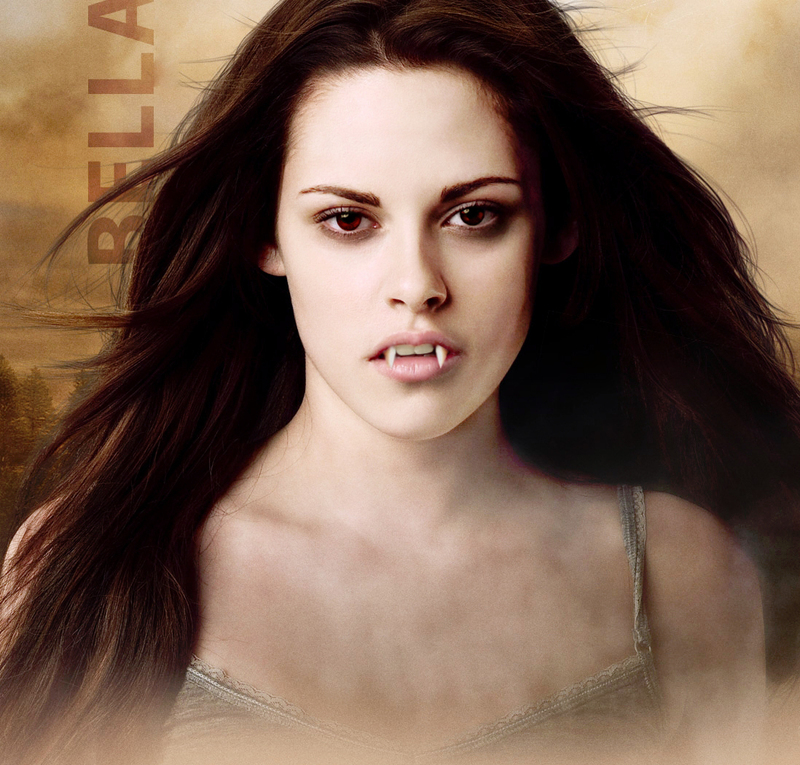 Bella's love and confidence in Edward's restraint is such that his warnings go unheeded, and while playing baseball with the Cullen family, she becomes the target of a sadistic vampire, James. 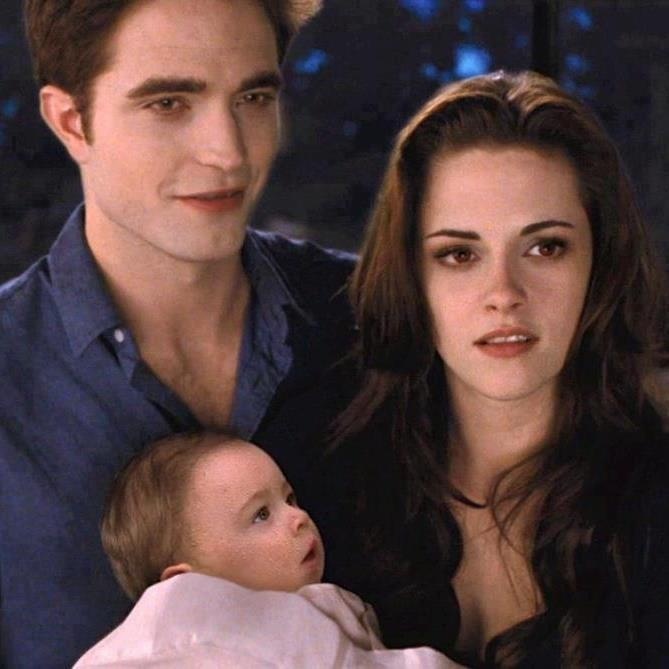 Edward is able to save Bella from James' predations, though Edward is still unwilling to change Bella into a vampire himself.